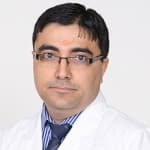 Dr. Manoj Khanal is a popular Neurologist in Shalimar Bagh, Delhi. He has helped numerous patients in his 15 years of experience as a Neurologist. He has done DM - Neurology, MD, MBBS . You can meet Dr. Manoj Khanal personally at Biomec Physiotherapy & Neuro Centre in Shalimar Bagh, Delhi. Don’t wait in a queue, book an instant appointment online with Dr. Manoj Khanal on Lybrate.com. Lybrate.com has an excellent community of Neurologists in India. You will find Neurologists with more than 29 years of experience on Lybrate.com. You can find Neurologists online in Delhi and from across India. View the profile of medical specialists and their reviews from other patients to make an informed decision. Doctor mein jab bed pe let ta hu to subah jab uthta hu tab aise lgta hai jaise mein uth nhi paunga. Left side back ki nerves dab jati hai shayad. Kya kru iska? Mujhe nervous system ki bhi problem hai. Doc kehte hai anxiety hai. Aap btaye kya karu? Masturbation over many years. But not now.Please advise. Dear lybrate-user Hello Yes it can be back problem also n problem of anxiety also /. Consult both orthopaedician n psychiatrist. Then gradually reduce all medicine n stop. If any problem feel free to contact us. I have anxiety worry and insomnia problem doctor give me medicine I feel relief but I do note take medicine no relief advice me. Hi, sleeping and anxiety problem can be solved with homoeopathic medicines. Take medicines as prescribed and your problem will be solved. Tab tranquil (sbl) 4tabs to be chewed thrice a day 1/2 an hour after meals. Coffea cruda 200 4pills to be taken in the evening at 7pm, then after dinner and again before sleep. Daily. Revert back for further treatment. I am frequently suffering from migraine and could not deal situations at all at that time. My eyes loose vision n head throbs like a rock. I use veritograin and paracetamol but long run no cure is being done. I meditate n do yoga but still I face this. Migraine cannot be cured. Avoid triggers. If certain foods or odors seem to have triggered your migraines in the past, avoid them. Reduce your caffeine and alcohol intake and avoid tobacco. In general, establish a daily routine with regular sleep patterns and regular meals. In addition, try to control stress. Exercise regularly. Regular aerobic exercise reduces tension and can help prevent migraines. If your doctor agrees, choose any aerobic exercise you enjoy, including walking, swimming and cycling. Warm up slowly, however, because sudden, intense exercise can cause headaches. Obesity is also thought to be a factor in migraine headaches, and regular exercise can help you maintain a healthy weight or lose weight. Its happening after 7 pm. Lil unconscious. I did not met with any accident. Am feeling like someone is pressing my nerves in head. Hypertension, low blood sugar levels, Stress, anxiety can also cause such symptoms. Get your self clinically checked by doctor to rule out medical and neurological causes too. I am suffering from migraine so I used to take crocin twice or thrice in a week since last 5-6 years. And now I am suffering from stomach pains as well as other problems. Whenever I eat something the pain starts, the doctor has prescribed me rabic dsr and florawell but no improvement is there. Also he has recommended me sibelium 10 mg for migraine but it is making me depressed and tired. Need help. What medicines should I take? Might be because of painkillers. You have gastritis or a gastric ulcer. Continue rabic dsr once daily on empty stomach for 2 weeks. Avoid any over the counter pain killers. Crocin is safe. Start naprox 500mg twice daily for 3 to 4 days during migraine attack. Coffee works wonders in migraine but again can lead to gastritis. I have severe migraine almost everyday. What is its remedy. Hw cn I get rid of it? How can sleep well I'm always have insomnia what can I do? I'm so very slim, I'm 21 years old. I am female. Dear, These are Causes of lack of sleep : • stress • Anxiety • Depression • Pain • irregular schedule of sleep such as sleeping during day time & working during nights. • Excess intake of alcohol , caffeine (tea, coffee) • Due to drugs , Due to high blood pressure . • Aging Due to lack of sleep there are many complications arise such as lack of concentration ,irritability, fatigue . So these are some instructions & methods for good sleep : • Frequent oil massage of head with oil relax your mind and enhances sleep .You can also do foot massage daily it destress you . • Do not take stress . Do meditation and long breathing pranayams to relax the mind. • Do not take caffeine, tea & alcohol in excess and these are stimulant ,(activate) your brain result in lack of sleep. • Avoid drinking alcohol & smoking. • Avoid sleep during day time as it makes it harder to fall asleep at night. •Try to sleep early at night . Do not think during sleep . Do exercise and long walk daily . • Avoid to take sleeping pills because these are habit forming drugs and these drugs disturb your normal sleep pattern. • Take a bowl of curd daily in afternoon and one glass of milk at night daily . Hello doctor, I have pins and needles sensation in fingers (hands & legs) and back. Some times I feel pain around my eyes and hands, legs. Does this leprosy? Thank you. Without proper test it is not possible to diagnose. You can consult me through Lybrate for proper guidance and homoeopathic treatment. My mom is suffering from parkinson. Is this a severe illness. What is d best cure for parkinson. She is been medicined from past 3 years for this disease. What are precautions to be taken for her. Please suggest me as I love her more than anybody in this world. There is no cure of parkinson disease medical treatment can help to reduce symptom and disability to some extent deep brain stimulation is another surgery option.